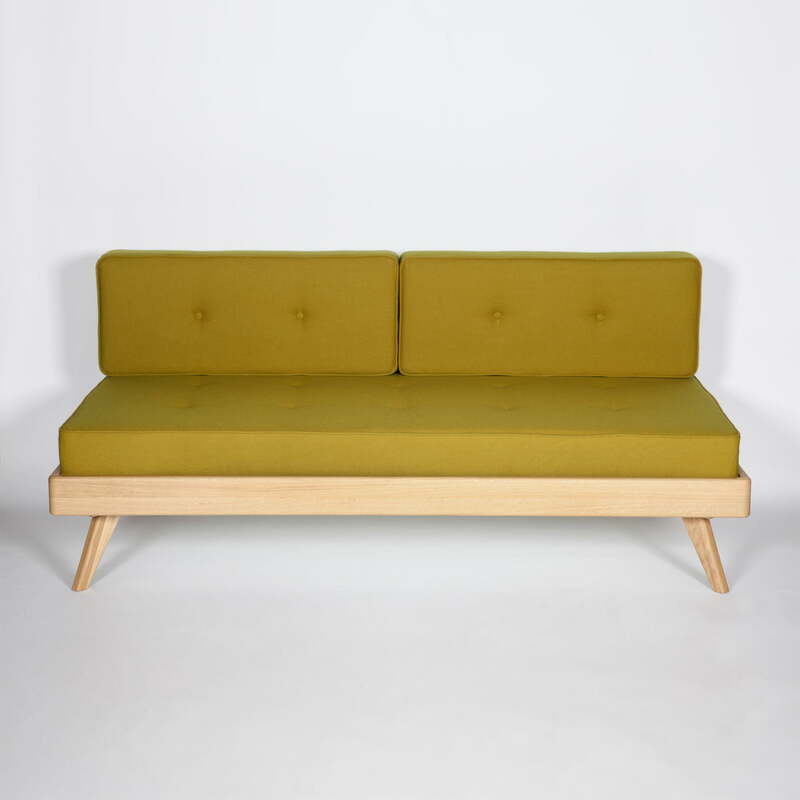 The Hansen Family presents another family member, made by Gesa Hansen: the Nightcouch. 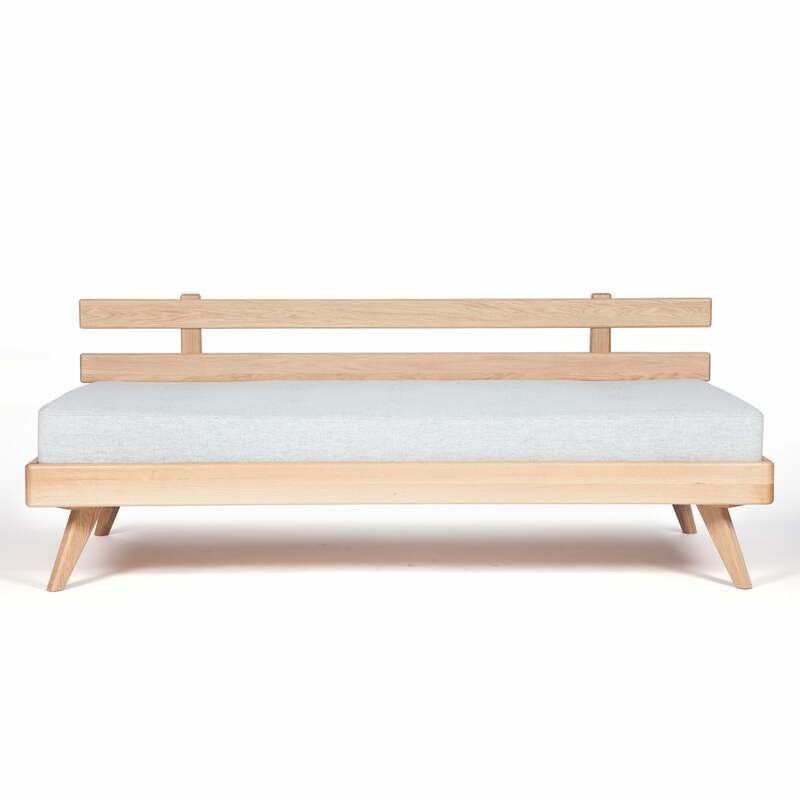 The frame of the Nightcouch consists of solid oak wood, as well as the other furniture pieces of the Remix Collection. 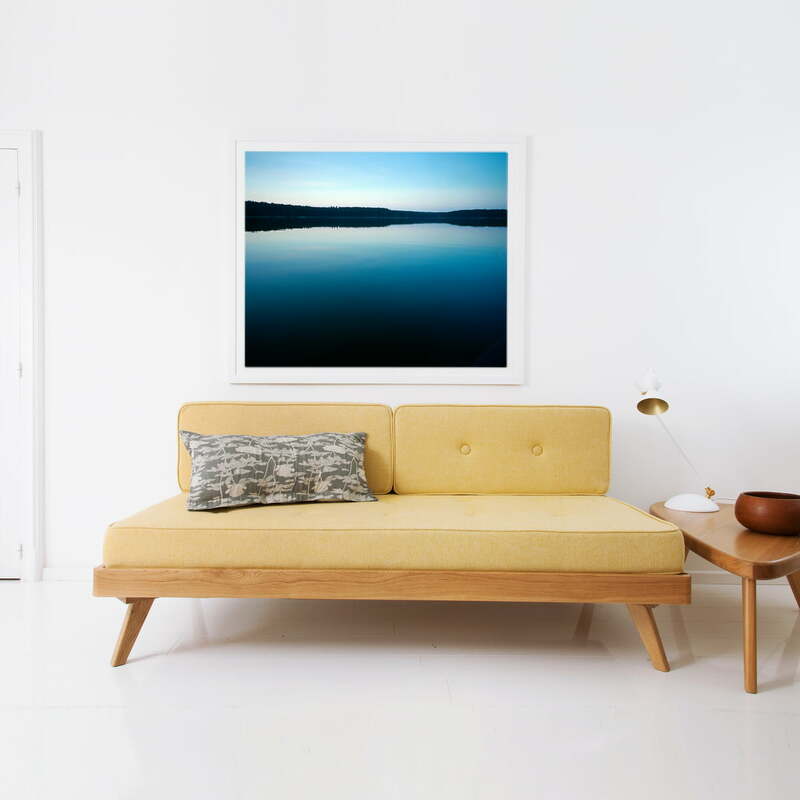 The appearance and the comfort of the Nightcouch remind us of a classic Scandinavian sofa, which astonishes with more functional details. 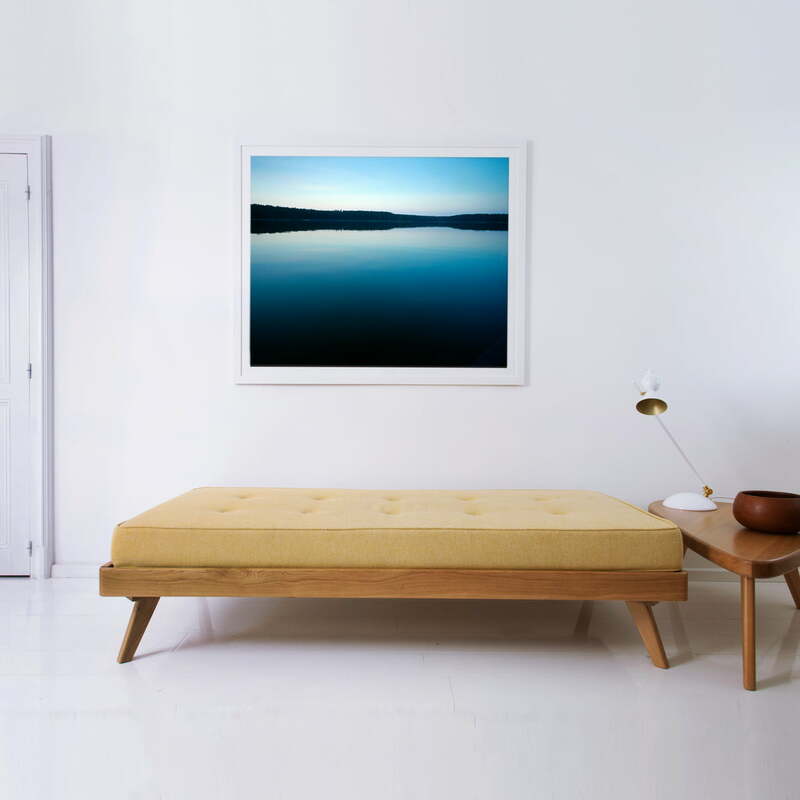 Simply remove the backrest cushion and the sofa will instantly serve as a comfortable single bed with 90 cm of depth. 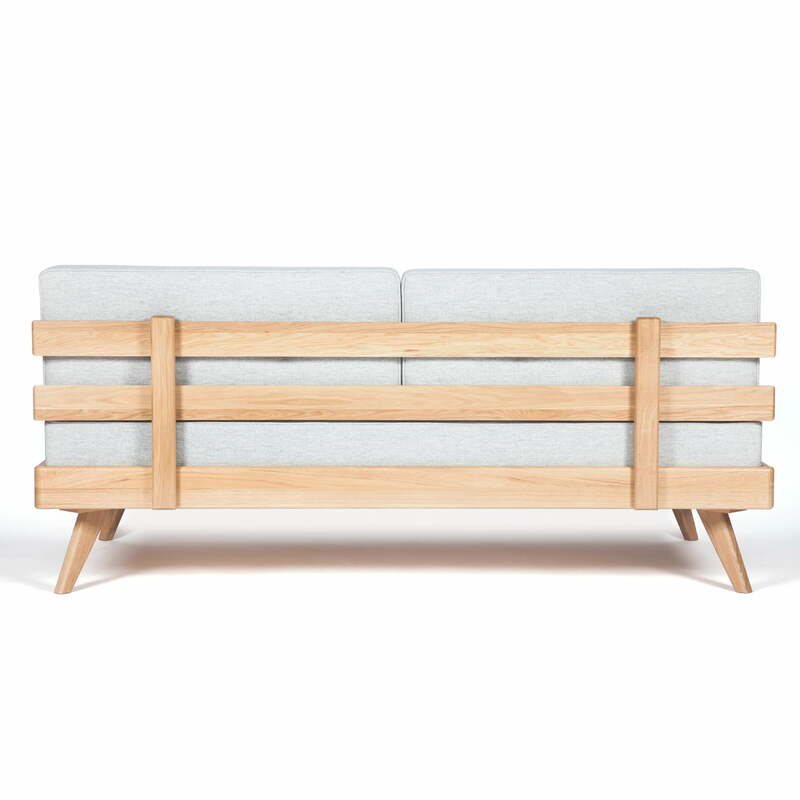 But if you need more space, the slatted frame is easily extractable and the depth is extended by 45 cm. Then fold out the integrated and place the back cushions on it. 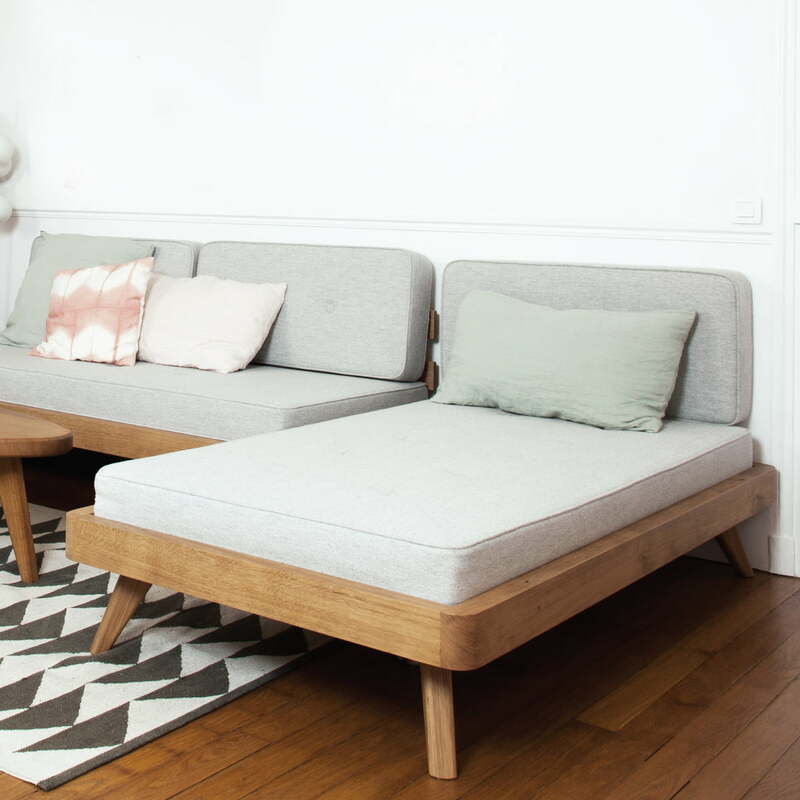 This is how a comfortable double bed emerges. 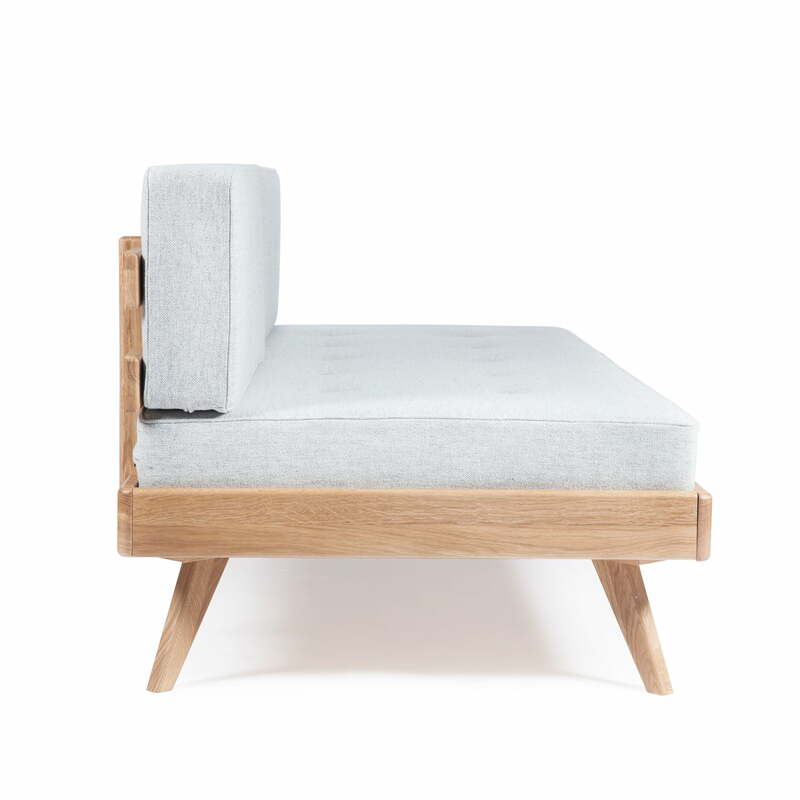 Choose between the fabric Velito or the Kvadrat Hallingdal and Tonus. 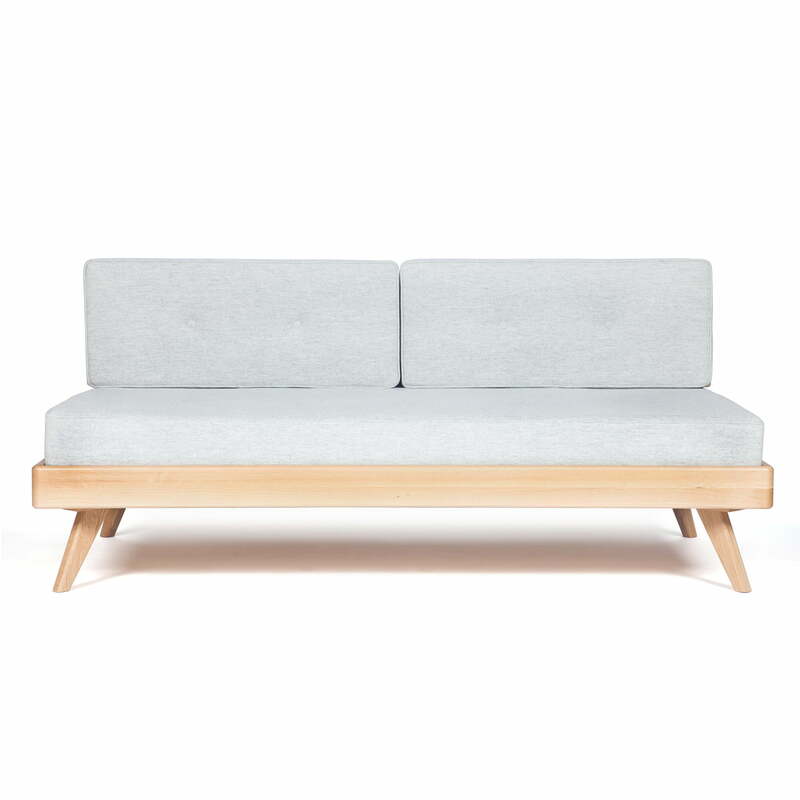 Thanks to the removable backrest, the Remix Sofa from The Hansen Family can be aligned lengthwise or cross. 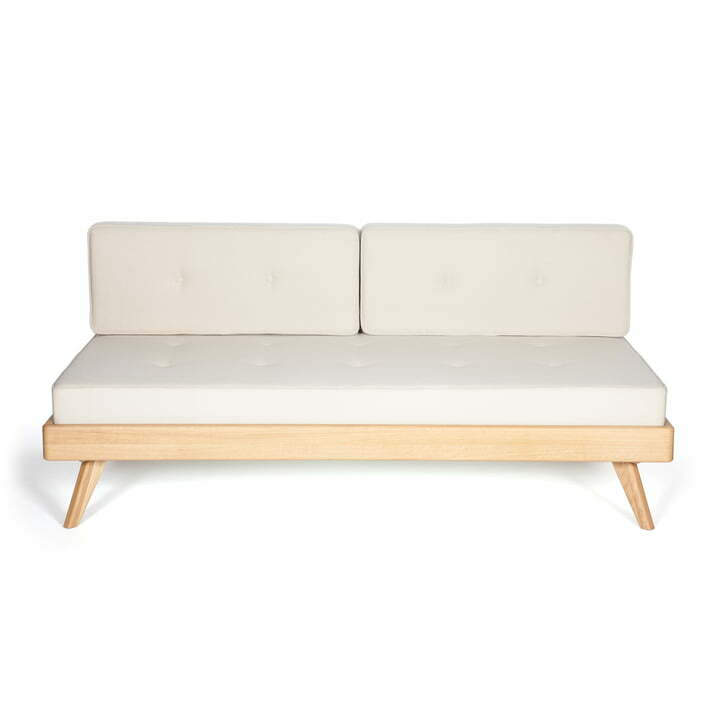 Combining two sofas results in a comfortable padded corner, and then again become a cosy sleeping area in an instant.